In the age of repression of dissent, bringing truth to the public has become a democratic obligation. Something that none of us can afford to ignore is the plight of animals exploited for human benefit. Not only is the suffering inflicted on them deeply immoral, but the human-animal binary relegates fellow humans to inferior status. (The Trump administration’s use of the word “animals” in vilifying migrant populations is just one example.) The anti-oppression work being created by conscientious people has become a beacon of hope for our society. And this is why the new documentary Dominion is so important. 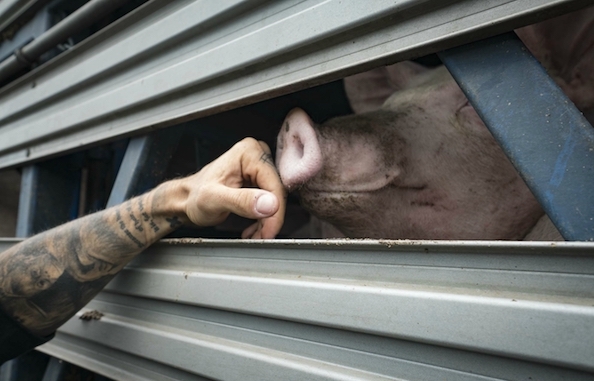 The animal agriculture industry — which makes up the largest segment of agriculture in the U.S. — is one of the most violent and secretive institutions on the planet. Its trillion dollar profits are sustained by the public’s ignorance, and it goes to great lengths to maintain the status quo. 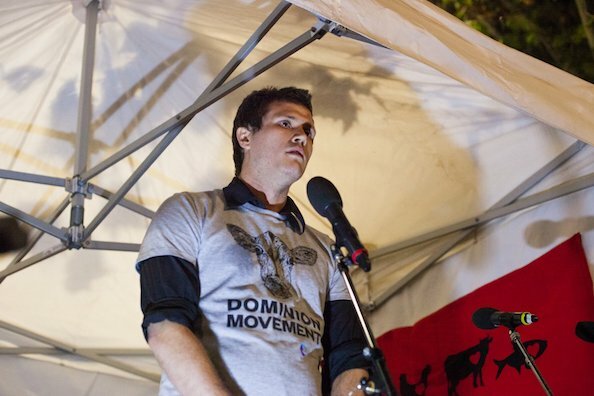 In 2015, following the release of his first documentary Lucent, which exposed Australia’s pig industry, filmmaker and activist Chris Delforce (who wrote, co-produced, directed and edited Dominion) had his home raided by a police task force, leading to Australia’s first-ever ag gag case. Undeterred, Delforce and his team of investigators continued gathering evidence of the systemic brutality endured by animals. The resulting Dominion, comprised of several hundred hours of footage obtained by drones and hidden and handheld cameras, focuses on six main areas of exploitation: food, fashion, entertainment, wildlife, pets and experimentation. 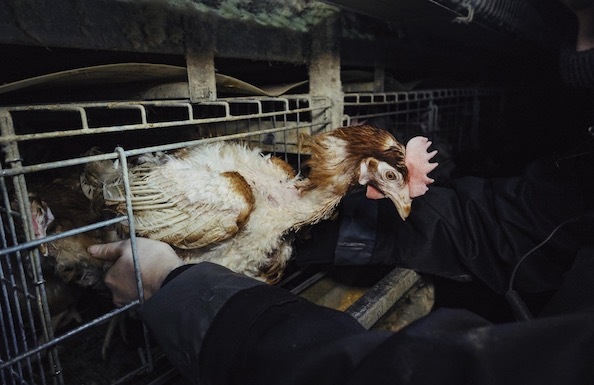 In an unflinching account, the film emphasizes the ingrained agony of global practices that are legal and deemed “humane.” Accompanying the visuals are narrations from a number of well-known vegans, whose involvement was facilitated by Earthlings’ creator Shaun Monson, now co-producer of Dominion. 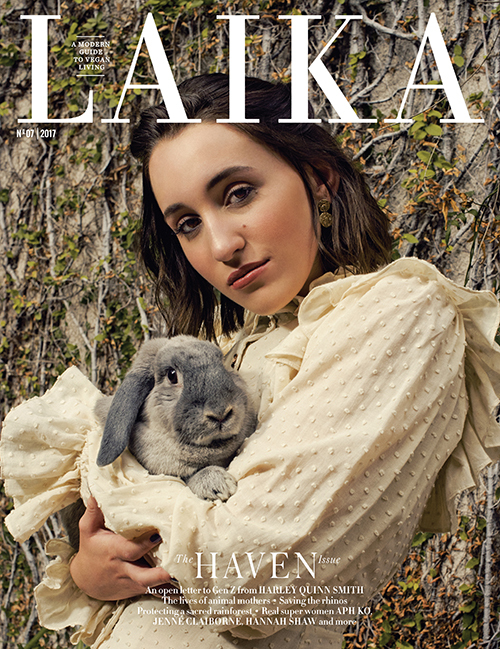 Actors Joaquin Phoenix and Rooney Mara joined the film earlier this year, and just announced was Kat Von D – LAIKA’s Issue Six cover star – as well as musician Sia and Stranger Things‘ actress Sadie Sink. What makes Dominion, which is in the midst of an international tour with screenings coming up in New York and Los Angeles, especially unique is that it’s more than a film. It’s part of a wide-reaching initiative that includes the online database Aussie Farms Repository and the coordinated activism campaign Dominion Movement. The recent Dominion Animal Rights March in Melbourne drew over 3,000 demonstrators. 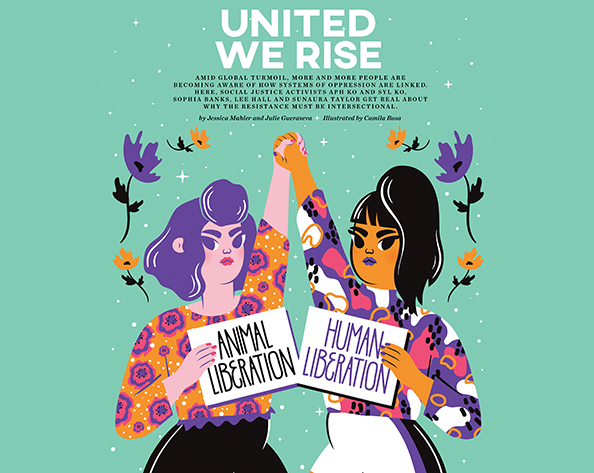 “With Dominion, we hoped to unite activists with a common goal, moving beyond fragmentation to become a solid, unstoppable movement,” Chris Delforce tells LAIKA. Here, Delforce shares with us more candid insights on the film’s process, overcoming adversity and galvanizing others to action. LAIKA: Was the Dominion Movement part of your vision from the beginning, or did it take shape as film production progressed? Why was it so important for you to pair the film with on the ground activism? Chris Delforce: We knew this was a film that was going to inspire and anger people. There’s sometimes a suggestion that by targeting vegans as one of our primary audiences we’re just preaching to the converted, but we see turning vegans into activists just as important, if not more so, than turning non-vegans into vegans. We’ve always hoped that Dominion would be a powerful catalyst, a tool that activists can use in their own creative ways. The lockdown and protest at a Melbourne slaughterhouse just prior to the film’s premiere is an example. That action continues a steadily increasing trend over the last couple of years in Australia. 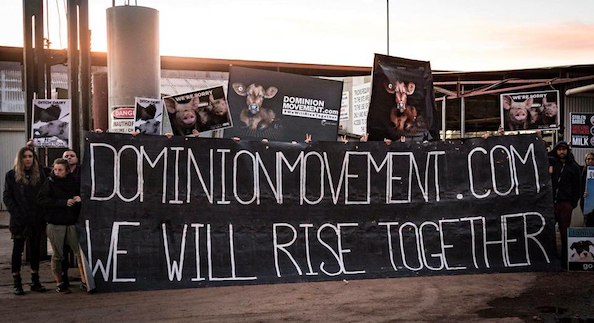 Video outreach in the streets, protests and lockdowns at animal exploitation facilities, marches and demonstrations, all of it has been ramped up, and we hope Dominion’s release will push it all to the next level. L: The Dominion March must’ve been electrifying. Was there a sense of turning a corner in the movement, of imminent change on the horizon? CD: The Dominion March was an incredible night. It truly exemplified how much this movement has grown, and I think was a clear signal of what’s to come. Prior to this, the largest animal rights march in Australia had around 800-900 in attendance. I’ve heard so much positive feedback from participants — more and more people are getting motivated to do everything they can and are realizing that they’re not alone. We hired a large tri-screen truck to play footage from the film as we marched and during the speeches, along with dozens of participants holding TV screens, tablets and laptops showing the same material. What that footage shows has been kept secret for so long, so taking over the Melbourne central business district with it was invigorating. L: Dominion’s mission makes it clear that “it’s not a question of better ways of doing the wrong thing,” as Rooney Mara says in her narration towards the end of the film. Do you consider yourself an abolitionist? CD: I do. At some point it became abundantly clear to me that “welfare” reforms are nothing more than marketing slogans. Free range, ethically farmed, humanely slaughtered, sow stall free, local… These are just buzzwords designed to make consumers feel better about paying for the violent, unnecessary deaths of thinking, feeling beings who desperately wanted to live. Even if there was a magical method of raising and slaughtering animals that was entirely free of pain, fear and suffering, it still could never be ethical. Would it be ethical if they were human? Our history is plagued with atrocities committed under justification of self-declared superiority. Martin Luther King Jr’s plea for a “revolution of values” remains as relevant and urgent as ever. The fact that we can breed, confine, exploit and kill other beings is a very different thing to us having the moral right to do so. Very few people, though, are persuaded by – or even open to hearing – philosophical arguments alone. I believe that [showing] the inherently barbaric nature of these industries is a much more efficient motivator. It helps people understand the individual suffering behind the neatly packaged products on supermarket shelves. I think there’s definitely a place for strategic campaigns that garner huge media attention, such as [banning] battery cages and live export, without advocating “lesser evil” alternatives. Because when people can connect with, and understand, that particular suffering, they’re more ready to face the question of why other types of suffering are any more excusable. L: Were you especially conscious of underscoring with Dominion that these are not instances of cruelty, but industry norms? CD: These industries have a few basic lines that they recycle, regardless whether it makes any sense. “Isolated incidents,” “rogue operator who doesn’t represent our industry,” “one or two bad workers who have been sacked or retrained,” etc. Dominion follows Lucent’s lead in focusing on recurring, standard, legal industry practices — things that can generally be found with just a little digging into their own documentation that they publish for their farmers, and in the codes of practice that govern the kinds of horrible things they can do that would otherwise be illegal under the Prevention of Cruelty to Animals Act. Dominion even uses some of the industry’s own “educational” footage. Failing to overtly counter their typical responses would be a disservice to the animals who suffer at their hands every day, so I’ve taken great care with Dominion to emphasize the scale and regularity of what is being shown. L: What were some of the practices marketed as “humane” that you saw time and time again as being anything but? CD: Gas chambers were being proclaimed without scrutiny, or evidence, as a “high welfare/humane” method of stunning pigs for over 20 years. The footage we’ve obtained from five of these facilities, including the largest in the southern hemisphere, clearly shows that every pig who enters those chambers screams and thrashes in agony until they finally pass out. Very little attention is paid to fish – there still seems to be a prevalent belief that they don’t feel pain, despite clear scientific evidence to the contrary. I’m so glad we were able to capture their “humane slaughter,” which in reality is a slow [death through] freezing over half an hour or [through] suffocation. 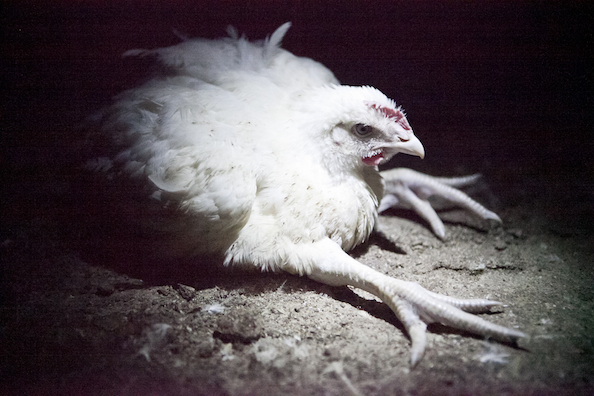 [Seeing] broiler (meat) chickens and turkeys struggling to stand or walk because they’ve been bred to grow so fast and so large that their legs can’t support their weight. Ducks having their throats cut while fully conscious because they’ve lifted their heads over the electric stun bath. I picked 3 or 4 incidents to use in the film out of dozens and dozens, captured on a single camera on a random workday. Sheep, pigs and calves [being] jabbed in the head over and over with the electric stunner prongs, growing increasingly terrified with each failed attempt. 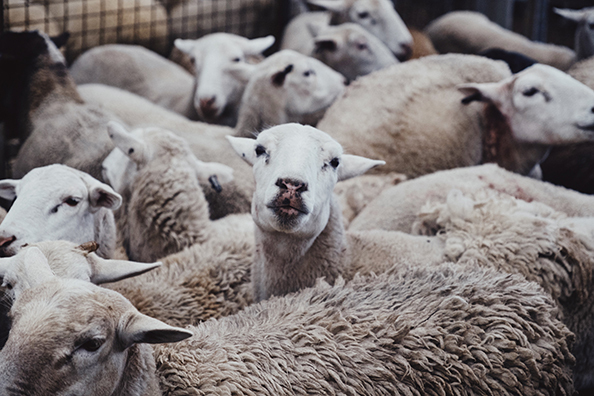 Once or twice a day at a particular facility, sheep would manage to jump out of the knock box and run around the kill floor among hanging bodies in various stages of dismemberment. L: How were you impacted the ordeal of having your home raided and the subsequent charges leveled against you? CD: There have been a few pivotal moments in my seven years as an activist that very nearly broke me. Looking back, I credit them with making me so much stronger, more determined and resilient. The raid was definitely the most significant. I responded initially by making “Thousand Eyes,” a 4 minute edit of Lucent inspired by my anger, frustration and sadness, which has since been used for street outreach all over Australia and the world. A few months after [the raid], I was hit with the first round of charges, and I responded to that by announcing Dominion and launching a crowdfunding campaign for it. Those initial charges were dropped in favor of the “ag gag” charges under an existing Surveillance Devices law — for filming and publishing footage from inside pig farms and slaughterhouses. The law itself was a perfectly legitimate and necessary one focusing on matters of personal privacy, established in 2007 to replace the outdated Listening Devices Act. But this was the first time it had been used to protect commercial interests and send a message to activists. After two years of minor court hearings, a three-day trial was finally set in August 2017. All charges were dismissed just one hour into the trial, as police were unable to prove that they’d obtained the proper written authority to lay the charges in the first place. The magistrate commented on the “incompetence” of the police and the clearly political nature of the case. [The experience] taught us [activists] a lot about police procedures and the types of evidence they can and do use, including phone and bank records, file metadata from seized hard drives and photos downloaded from our websites. Of course I’m expecting to be raided again in retaliation someday, but I’ve come to accept it’s just an unfortunate inevitability of trying to make the world a better place, and I know that I’ll be able to recover from it as I have before. L: The footage is obviously the crux of Dominion, but the narration is also extremely important. What was the process behind it? CD: I researched and wrote most of the script over an intense two weeks, after roughly 80% of the footage had been obtained, though in some sections I was able to rely on previous research by other individuals who had contributed to the Knowledgebase on our Repository website. I delayed writing the introduction and conclusion until after I’d edited the rest of the film together, knowing that I wouldn’t be in the right place mentally to properly put my thoughts and feelings into words until I’d sat through all of that footage. I then wrote the conclusion overnight while playing the London Grammar album “Truth is a Beautiful Thing” on repeat. 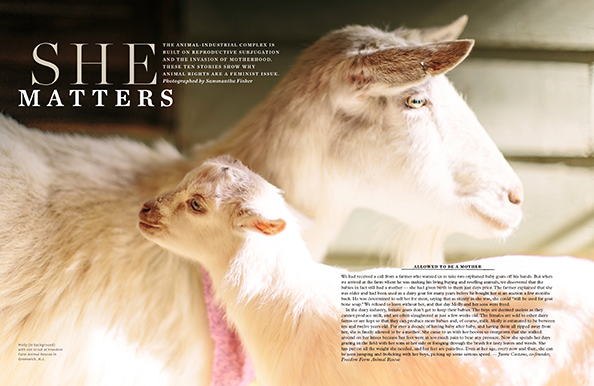 A few days later we went out to Edgar’s Mission sanctuary to film the rescued animals for [the conclusion], and then finally I wrote and edited the introduction, which was probably the most difficult. Shaun and I recorded Joaquin and Rooney in the living room of their Los Angeles home, Joaquin first. Both were visibly and audibly distressed throughout the process depending on what they were describing, and with Joaquin in particular we needed to take a few breaks given the very heavy content. Dominion’s conclusion especially owes much of its power to their raw, genuine readings of it; you can really hear the emotion and sincerity in their voices. L: What was it like to team up with the creator of Earthlings, a film that had such an impact on your life? CD: I’d been a huge admirer of Shaun’s work for several years; to have him agree to put his name on a film I’d written and edited, a film our small team had worked so hard on, was a very proud moment and a real feeling of validation. Before we started speaking with him, I’d been worried that he might feel some sort of resentment towards someone trying to enter his “space” in the movement, but that turned out to be the farthest from the truth. I’ve always been a proponent of activists and organizations working together. L: Impressively, there is a self-care section on the film’s site. Why did you feel it was especially needed now, with the release of Dominion?? CD: Dominion was never meant to break or depress anyone — it was meant to empower and motivate. We want people to get active, not just for a short while, but for the long haul. Self-care is absolutely vital to keep us from burning out. A burnt-out activist is of no use to the animals. L: Dominion shows animals being liberated from these harrowing places. Was there an intentional message to activists in including that kind of footage? CD: There were a few motives for the end-credit scenes. We wanted to end the film on a hopeful, positive note, but also reinforce that this footage was obtained by real, ordinary humans, and that all of the suffering was real too. As these industries become more and more transparent through films like this, through other tools like our Repository website, and through more people going out to farms and slaughterhouses and sharing their experiences online, it’s inevitable that rescues will only continue to increase. Ultimately we can’t shut down these industries just through individual rescues, but with care and strategy, liberation is and should always be an important part of the movement. What I see as an inevitable step towards the end of animal abuse industries is an environment where every single one of the facilities is fair game. Their name, location, and what they do, publicly available for anyone to see, any of them potentially the next to be showcased on social media or in the news. If homes aren’t available for rescues, open investigations would still be very beneficial, I believe. L: What are some of the logistics in running a complex project like the Aussie Farms Repository and your plans for it? CD: Australia is a proof of concept. I want to show that [the Repository] is a valuable and effective tool, so that when the time comes to expand worldwide, it already has a reputation and extensive demonstration of its capabilities. At the moment, the uploads are from a fairly limited number of users, with much of the material coming from already-released investigations available on our other websites (aussiepigs.com and aussieturkeys.com), though gradually more individuals are starting to upload their own content. I hope to get it to a stage where activists and organizations who conduct investigations upload their material to it, to essentially become a cross between Wikipedia, WikiLeaks and Youtube, covering the entirety of animal exploitation industries and serving as the first stop for anyone who wants to learn or to educate others. L: I imagine that Dominion Movement has attracted some remarkable participants. Are there any personal stories that stick out for you? CD: Dominion’s Assistant Director, and the Operations Director of Aussie Farms, Lissy Jayne has been an integral member of our team for the last four years and has never wanted any credit, but recently has been gaining overdue recognition. The iconic calf on the Dominion poster was photographed by Lissy during an investigation. A lot of the photos used in our campaigns were captured by her, and many have been released through her own organization Bear Witness Australia. During the Dominion March, she stood on stage holding up prints of some of the individual animals she’s encountered during investigations, while a speech written by her was read out by Apoorva Madan, the vegan psychologist who wrote the self-care material on the [Dominion] site. Lissy has been heavily involved in our investigations, campaigns and actions and is now taking on more speaking roles to give much-needed female representation in a male-dominated movement. L: You’ve witnessed a great deal over the years, but is there any one specific experience that was a major catalyst in cultivating your present-day drive? CD: The first pig farm I ever went to will always stay with me. Until then we’d mainly been doing rescues, but it became clear to me at that point that our priority needed to shift to investigations. When I walked out of the farrowing shed, I turned to the person who had come with me and said that we were going to shut it down, and we did, not through the authorities who did lay charges against the piggery but later dropped them, but through the relentless public pressure that came as a result of putting the footage and photos out into the world. The experience showed me that information — the truth — can be not just an incredibly powerful tool, but sometimes all that is needed to put an end to a horrible injustice that had gone unchallenged for decades. 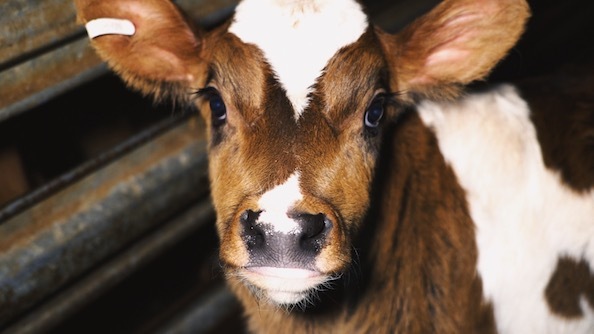 Top photo by Lissy Jayne of a calf bound for slaughter, courtesy of Dominion Movement. LAIKA’s mission is to bring you authentic, well-rounded and accurate reporting on vegan culture and activism. We’re so grateful to have readers like you. Even a small donation will help our cause and keep LAIKA strong, so it can continue to inspire and inform. Thank you for supporting us with Patreon. Writing a book is no small feat. Now imagine doing it while still in your teens. 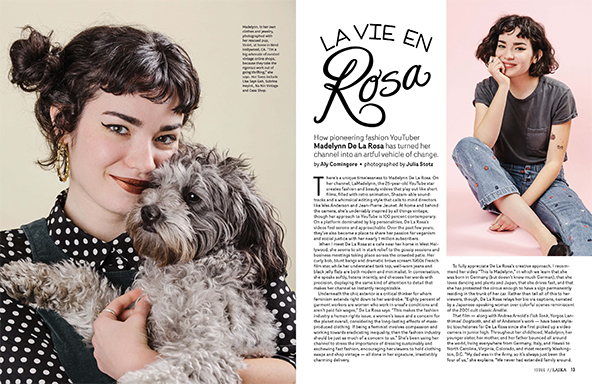 LAIKA’s one-time cover star Clara Polito has accomplished just that. 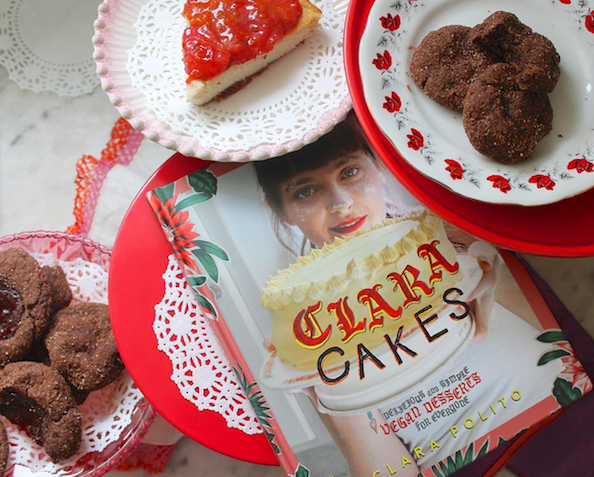 Her first cookbook, Clara Cakes: Delicious and Simple Vegan Desserts for Everyone! was just published by powerHouse Books. It’s chock full of recipes for a dizzying array of creative desserts, with an entire chapter dedicated to frosting, plus sage business advice, a super handy guide to kitchen gear and egg substitutes, even a spread about why she’s vegan. Polito is a serious pro with a heart of gold, but she’s no overnight sensation. 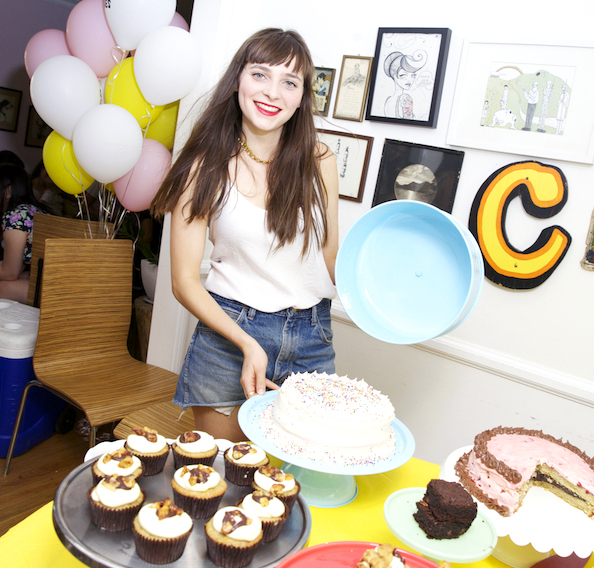 She’s been running her LA-based company Clara Cakes since the age of 12, selling her creations at stores, restaurants and countless events across the city, as well as doing many brunch and dinner pop-ups. Her hard work has rightfully earned her treats a loyal following. The artist and skateboarder Ed Templeton says it best in his introduction to Polito’s cookbook, “Clara is the kind of girl that gives me hope for future generations. She didn’t wait for anything happen to her, she made it happen for herself.” Indeed. Polito shares her S’mores Bar recipe with LAIKA, followed immediately by our Q&A with her. 1. Preheat oven to 350 degrees. Spray a 9×9 baking pan with nonstick spray and line with parchment paper. 2. In a small bowl, stir together the vinegar and baking soda with a fork. The baking soda will dissolve. Set aside. 3. In a medium bowl, stir together the graham cracker crumbs, flour, and baking powder. 4. Using an electric mixer, cream together the butter and sugar on medium speed until light and fluffy. 5. Add the vinegar and baking soda mixture to the butter and beat on high until the vinegar is fully incorporated, about two minutes. 6. Slowly add in the dry ingredients on medium speed and beat until it looks like cookie dough. 7. Reserve 1/4 of the dough and set aside, you’ll use this later for the topping. Press the remaining dough into the baking pan. 8. Sprinkle chocolate chips and marshmallows evenly onto the cookie dough layer. 9. 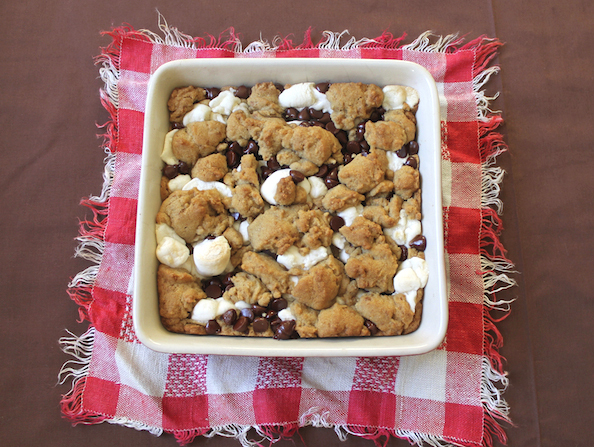 Take the cookie dough you set aside and scatter grape-sized pieces over the marshmallows and chocolate chips. 10. Bake for 25 minutes or until golden brown. Place on cooling rack, serve warm. Then and now. 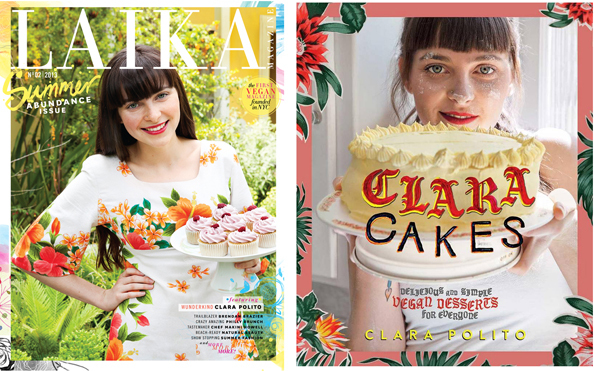 Clara covers our Summer ’13 issue (left); and is the author of her first cookbook four years later. 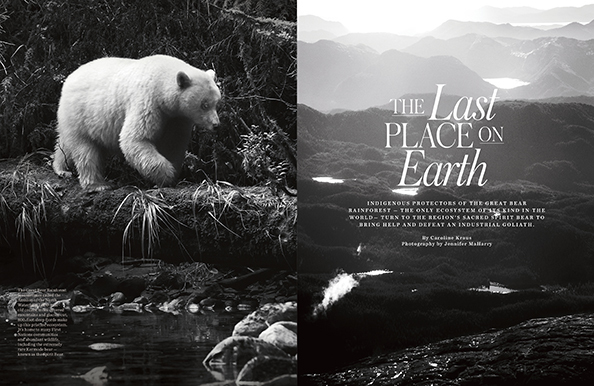 Photos by Sylvia Elzafon and Logan White. LAIKA: Veganism has become a lot less stigmatized in recent years. Do you even still feel the need to explain that you’re a “vegan” baker? Clara Polito: It depends on who I’m talking to, or where I’m selling. Most of the time, I like to let my cooking speak for itself and win people over, and then tell them afterwards that it’s vegan which is always very much to their surprise! I think because being vegan is second nature to me, and such a part of my inner moral compass, I don’t have to work too hard on integrating it into my identity. Changing the way people eat is ultimately why I do what I do. LAIKA: It’s a pretty crazy time, with this country’s government trying to escalate the oppression of both human and nonhuman animals. How does all this affect your craft and your sense of urgency to make the world better? Clara Polito: I feel that being vegan is so important, especially now, as a way to express compassion. Our country is so accustomed to feeling disconnected to cruelty, corruption, etc. I think being vegan is the simplest, everyday activism you can do that touches on so many different issues beyond animal cruelty. I think it motivates me to make my recipes accessible. It makes me want to hold tight onto my craft and work harder. LAIKA: The cookbook is so impressive. It must’ve been a ton of work to put together. Clara Polito: Other than jotting down recipes, I had no prior cookbook experience. I think I needed someone to say, “Let’s do this, here’s what I need from you,” and from there it was a blast. The problem I run into is narrowing down recipe ideas, so coming up with new ones was fast. I took most of the dessert photos (Logan White took some as well), so there would be nights where I’d have four different cakes in my fridge calling my name. LAIKA: The design of the book is also very eye-catching. Did you collaborate with the publisher and designer on it? Clara Polito: My publisher was really open to my ideas for the book design. They’d send over different versions of possible designs and really listened to my feedback. The designer asked me to send over different tablecloths and aprons I use, and that’s where the flowers throughout the book come from. The handwritten old English was a tribute to the first business cards I made, and I love how modern it feels in the book. I love how much the book design represents myself and my baking. LAIKA: And your best friend is a part of the book too, is that right? Clara Polito: Sophia [Longo] is an extremely talented writer, and about a year ago she wrote a zine called Dessert Haikus. She wrote several different haikus having to do with desserts and then we put them together with photos of my baked goods. A couple months later when I started working on the book, it seemed like the perfect addition to it! She’s been a part of this adventure since I started baking, so it makes the book even more special and meaningful. LAIKA: That’s so cool, and such a great example of young women’s camaraderie. So, people new to vegan baking are sometimes intimidated by the lack of eggs. What’s your take on that? Clara Polito: My favorite egg substitutes are applesauce, coconut vinegar, and Mori-Nu silken tofu. I think texture and taste both taste more fresh when not using eggs. Isn’t it weird how non-vegan cake is technically chocolate eggs?! LAIKA: Yep! What’s the top advice would you give young women your age who have a hobby or passion and yearn to turn into a career? Clara Polito: I would say to embrace your passion and know your self-worth. People might offer you advice, which is nice, but you don’t have to take it. Do what you want to do. LAIKA: Ok, final question — what’s inspiring you these days, and what are your must-eat vegan dishes around LA? Clara Polito: Stella McCartney’s latest collection, both womenswear and menswear. I keep going back to the lookbook for inspiration! And specific dishes at particular places are: Organic Puff Pastry Tart with Market Green Salad at Elf Cafe (Elf is vegetarian, request this dish vegan); the Sweet Potato Falafel at Fala Bar; Spicy Sweet Potatoes at Azla; Masa Echo Park’s vegan Deep Dish Pizza (request vegan); the vegan pupusa combo that comes with fried plantains and black beans at Delmy’s Pupusas (request vegan); and the Jackfruit Taco with Chipotle Mayo and Tomatillo Salsa at Plant Food For People. Clara Cakes’ latest pop-up dinner is in Detroit this weekend, and the NYC book launch is on March 23. 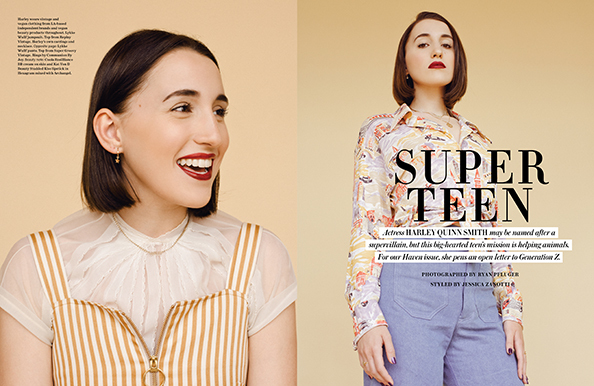 Get to know this inspiring young woman even better in our Issue Two cover story. 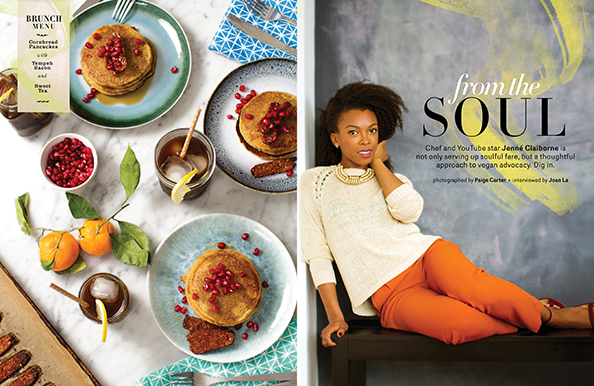 Pick up her stunning new cookbook online or at stores nationwide.